Plans for traffic calming measures and traffic regulation orders Roper Lane, Cross Lane, Moor Close Road and Moor Close Lane were proposed to deal with potential traffic from a nearby development of 20 houses, which is currently under construction. The works will include orders to prevent on-street parking on Moor Close Lane at its junction with Cross Lane and around the Roper Lane/Cross Lane junction, the removal of speed cushions on Roper Lane and provision of speed tables and relocation of speed humps on Cross Lane away from the proposed drives. 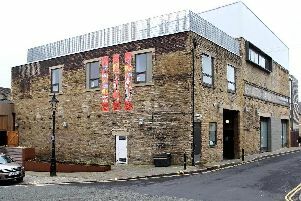 There had been some objections to the proposals, but the plans were approved by Bradford Council’s Bradford South Area Committee last month.